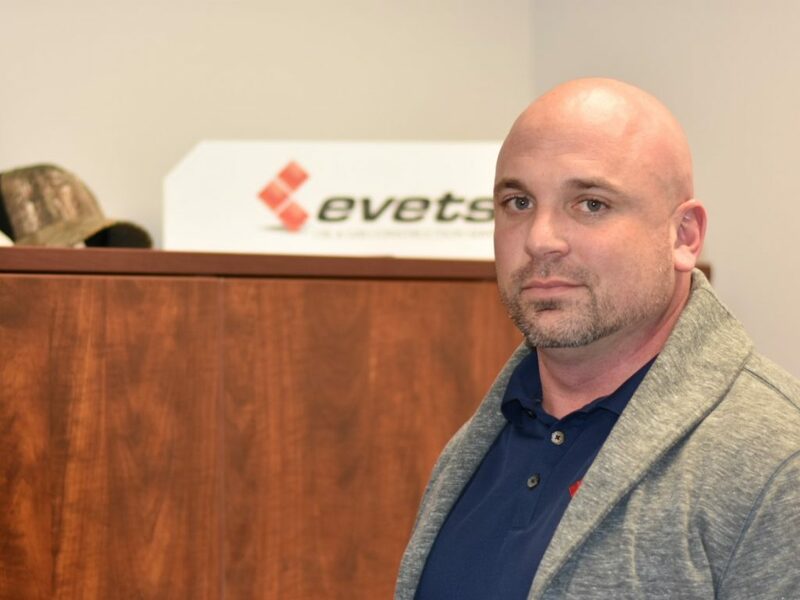 In his role as project manager at VEC, Inc., Mike Reiser handles the day-to-day project operations for mechanical, fabrication, civil and low voltage construction projects. “If it ain’t cooked on wood, it ain’t no good!” That’s the motto Mike Reiser has adapted to create and master his wood-fired specialties of chicken, lamb, beef and pork. Between the alchemy of charcoal and wood, Reiser produces tender and mouthwatering treats from the spit. Reiser’s path of crafting meat from the rotisserie started with a unique family tradition on Thanksgiving. 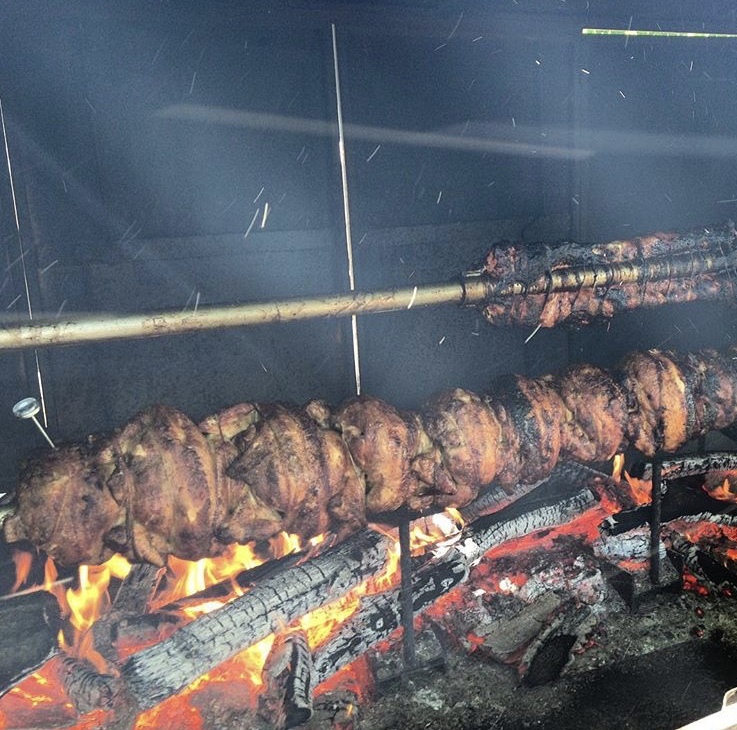 Using a mobile spit, Mike Reiser showcases his passion of wood-fired creations with chicken, lamb, beef and pork. To this day, Reiser’s passion for preparing wood-fired creations continues to grow. Now, his business is sparking with weekly phone calls to cater graduation and bachelor parties, along with outdoor weddings. With his mobile spit, Reiser can cook up to 300 whole chickens at once. Thanks to a great base of customers, Reiser feels he has mastered a unique blend of flavors. “I have had a lot of opportunities to try different things and believe I have a sure-fire recipe,” Reiser said. With a hearty menu, there’s one favorite protein Mike gets a thrill out of cooking. “I love putting a whole lamb on the spit,” he said. Despite working events most weekends, Reiser relishes the experience of catering an event and creating memories for his customers. “Seeing the smiles on everybody’s faces is great,” he said. Reiser is the project manager at VEC, Inc. He handles the day-to-day project operations for mechanical, fabrication, civil and low voltage construction projects. Reiser was at a career crossroads when he learned about the career opportunities available in the electrical trade. With my many projects going on around the Mahoning Valley, a current one has been a true learning experience for Reiser. With a fiancée and nine-month old daughter at home, Reiser finds great joy in balancing his work, passion and family duties. “My nine-month old is giving me all that I can handle right now but I’m enjoying every bit of it,” he said. As the smoke clears and fire dies down after each catered event, Reiser is truly grateful to showcase his passion. 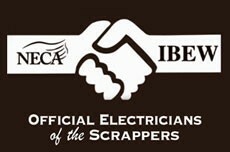 VEC, Inc. is a member contractor of NECA-IBEW Electricians, an association of IBEW-represented electricians and signatory contractors serving the Mahoning Valley. This entry was posted in News on March 20, 2018 by necaibew.